It’s Friday, a typically busy day for us in the title business. We have five loan closings on the schedule – five families about to complete the home buying journey. This should be an awesome day! The awesomeness, though, is already tarnished. Why? Great question! And the answer is why we are sorely disappointed that the CFPB has decided to kick the TRID can down the road. TRID delay keeps closing tables empty . . . .
Of the five loan closings on our schedule today, only one is ready to go. That’s right . . . only one. On the other four, we are still waiting for closing instructions and documents from the buyers’ lenders. That means that four eager home buyers do not know whether or not they will be able to close today. Four eager home buyers do not know how much money they need to wire to complete their purchase. Four eager home buyers do not know whether they will be able to unload their moving trucks today. This scenario creates tons of stress for consumers, who should feel nothing but excitement about their closing. Yet it happens every day; and it is, by far, the worst part of what we do – having no control over something that causes unsuspecting consumers so much stress. For us, the best part of the new TILA-RESPA Integrated Disclosures (TRID) rule addresses this annoying and stress-inducing phenomenon. Initially effective on any loan application made on or after August 1, 2015, TRID requires creditors (mortgage lenders) to deliver the Closing Disclosure form to consumers (buyers/borrowers) at least 3 days prior to “consummation” (under the final rule, the Closing Disclosure replaces the HUD-1 settlement statement and the final Truth in Lending Disclosure). That means no more Fridays like today; no more poor buyers waiting helplessly on the day of closing for final figures; and it should mean improved experiences for every party to the transaction. Because of that, we were really looking forward to the implementation of the rule, warts and all. On Wednesday, the Consumer Financial Protection Bureau announced that it would delay the effective date of the rule to October. Most of our industries’ advocacy groups have heralded the decision as ideal for consumers, the thought being that the complexity of the changes would interfere with closings. No doubt, there will be some hiccups. They’ll be there in October as well. In the meantime, we’ll be here, with empty closing tables, waiting for closing instructions and helping to manage buyers’ stress. Since November of 2014, your real estate closings have generated $3,000 for local charities. This summer, the Winged Foot Title team has chosen to support the Children’s Home Society of Florida. Take a few minutes to watch this video about CHS’s impact on kids. We hope that you will join us this summer in support of CHS and help to bring children “healing, homes and hope.” A portion of every closing will be donated to this worthy organization and the children it serves. In the meantime, you can connect with CHS directly through Twitter and Facebook. Thanks all! I have the Buyer. Why should we care about FIRPTA? We get this question a lot. And we often get it laden with defensiveness from buyers’ real estate agents who are surprised by the demands of FIRPTA on their clients. Because FIRPTA is superficially understood as a tax on the seller, the surprise is understandable. So let’s discuss WHY this is an important issue for buyers and their agents to consider and HOW they can set expectations and prepare better for a deal that involves FIRPTA. Why Should the Buyer Care about FIRPTA? I paid taxes and insurance from escrow account! We’re sure she’s not the only one who wonders about these things, so let’s look at her situation and explain how the credits and reimbursements are likely to work at and after closing. Our client mentioned that she had paid taxes and insurance from her “escrow account.” She is referring to an escrow account which her mortgage lender required her to establish and fund so that the lender may ensure the payment of lien- and risk-wielding items (like taxes and insurance!). Lenders often require borrowers to pay a monthly amount for “escrows” in addition to their principal and interest payment. The lender keeps those funds over the course of the loan and pays for the escrowed items from the escrow account when they become due. In our customer’s case, her lender had paid both her taxes and insurance for the current year prior to the closing of her sale. For the sake of example, let’s say that her lender made these payments on November 15, 2014 (these would not normally be paid at the same time but we’re trying to keep it simple) and her closing was scheduled for December 1, 2014. At closing, she would have paid for an annual insurance policy through November 14, 2015 and for 2014 property taxes through December 31, 2014. So how does she get her money back since she won’t own the property after December 1? We are 2 weeks removed from Jordan Spieth’s impressive victory at this year’s Masters Tournament (What were you doing when you were 21???). The #Masters is not trending. But we in the real estate business sure can learn a few things from this very special tournament. 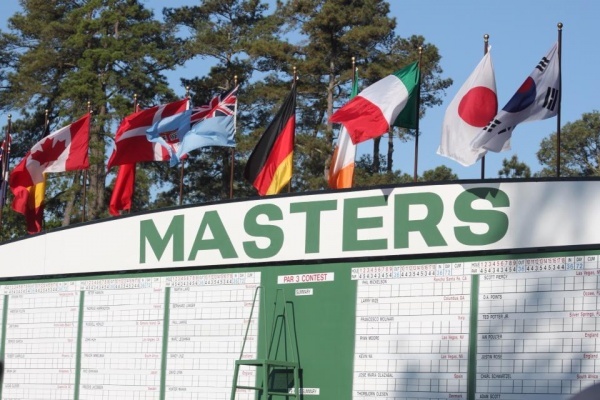 The beauty of the golf course and the tournament’s rich rich history are enough to distinguish the Masters Tournament from other high profile golf tournaments. But it’s a myriad of other things that make the Masters . . . 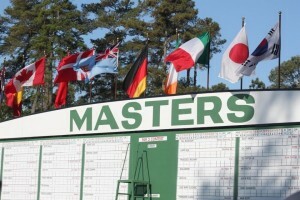 Par 3 Scoreboard from 2013 Masters Tournament. well, the Masters. Take the Masters lexicon, for example. At the Masters, “fans” don’t sit on “bleachers.” Instead, “patrons” sit on “observation stands.” The distinctions may seem immaterial, but they are Masters distinctions and are known as such in the golf community. 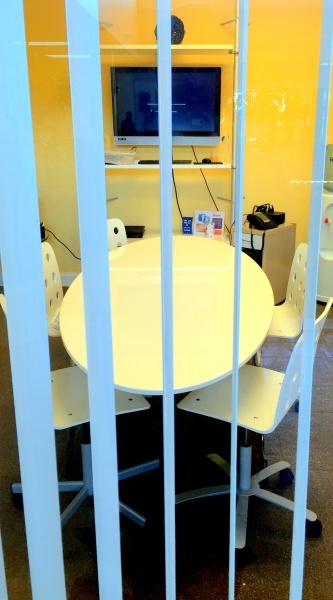 So what can we real estate professionals do to be different? Taking the lead from the Masters, how about a fresh new lexicon? Could you call your “clients” something besides “clients” that may make their experience with you more memorable? I bet you could. Help Us Support Fort Myers Relay for Life! 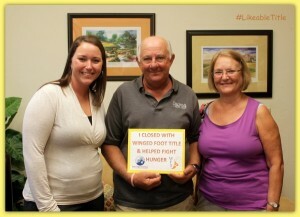 Winged Foot team gives donation to Boys and Girls Clubs of Lee County representative. A month or so ago we rolled out our #closingwithacause campaign. 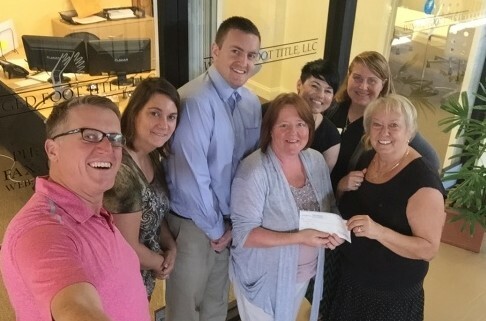 In a nutshell, team members get to select a favorite charity or cause which we support by donating a portion of our revenue from every real estate closing we handle. First of all, we want to send a huge THANK YOU to everyone who did business with us this first quarter. We were able to donate $1,380 to two very deserving local groups – The Boys & Girls Clubs of Lee County & Operation Inasmuch United Fort Myers. Our efforts continue into spring as we commit to supporting our very own Kristen Flora and her Fort Myers Relay for Life team – Purple Haze!